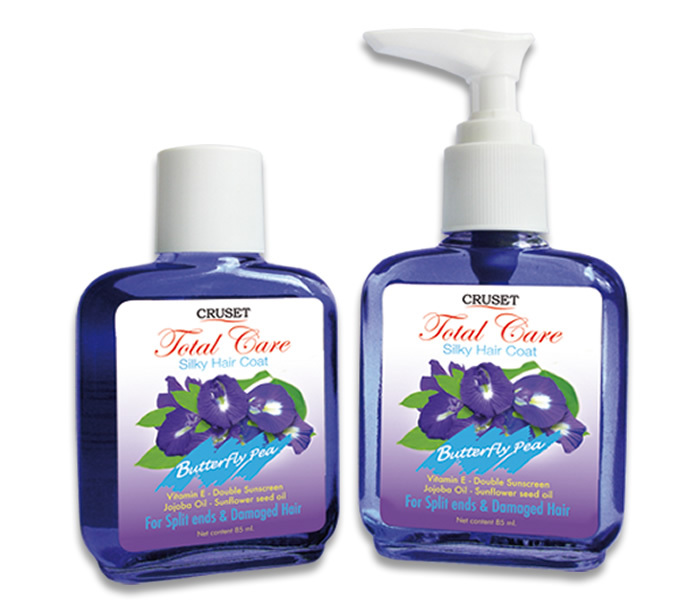 Cruset Total Care Silky Hair Coat (Butterfly Pea) 85 ml. A light texture and easily absorbed into the hair, helps provide the moisture and protect your hair from split ends and UVA & UVB. Your hair will be perfect healthy hair and soft smooth to the touch. Cruset Total Care Silky Hair Coat (Marine) 85 ml. Cruset Total Care Silky Hair Coat (Pomegranate) 85 ml. 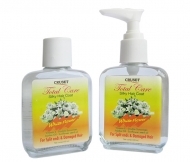 Cruset Total Care Silky Hair Coat (White Flower) 85 ml. Cruset Total Care Silky Hair Coat (Melon) 85 ml. 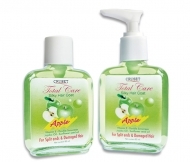 Cruset Total Care Silky Hair Coat (Apple) 85 ml.